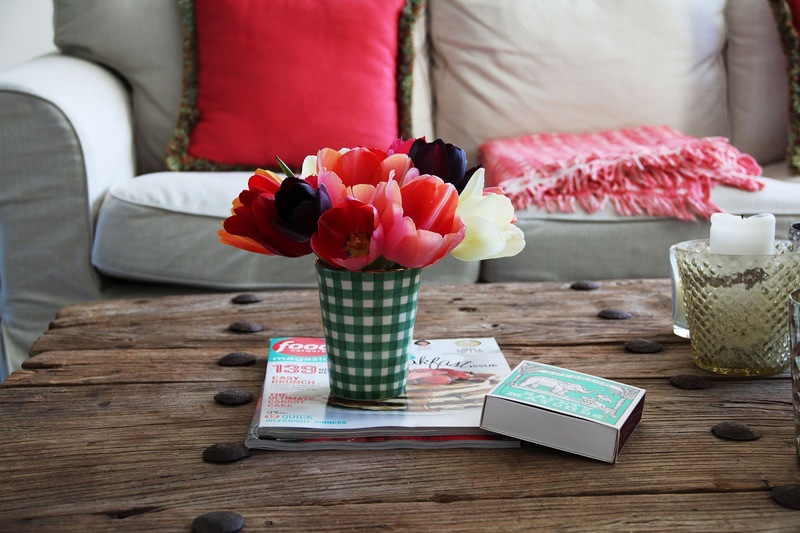 although my wardrobe is pretty much stripped to basics and monochromatic tones, i still like color in my home. 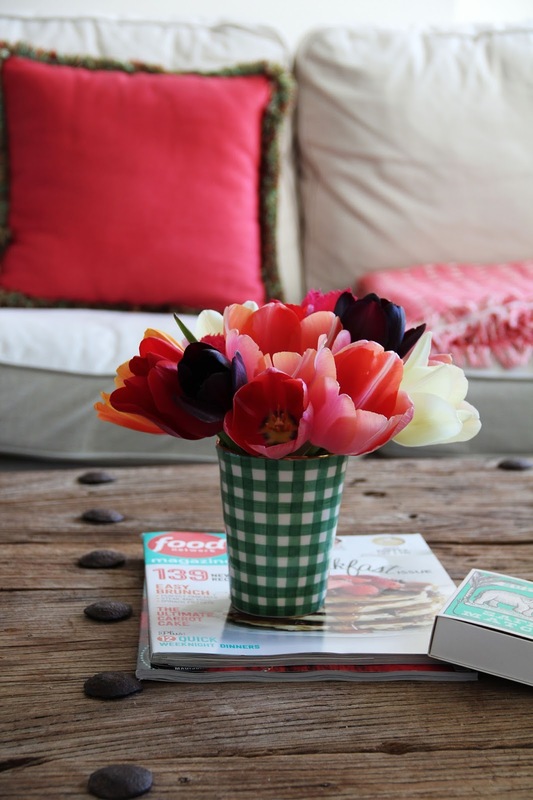 the fastest way to add a pop of color is with flowers, surely, or a couple of seasonal decorative pillows and throws. 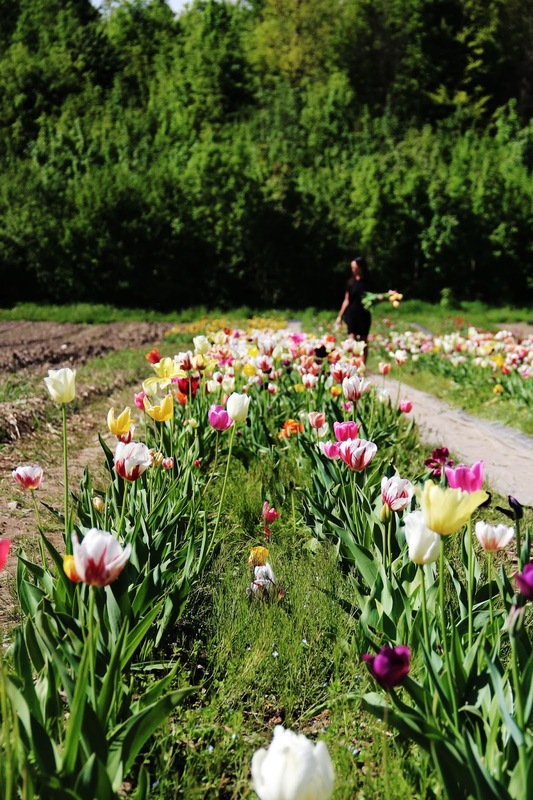 i went to pick these tulips here for my mom on mother’s day. 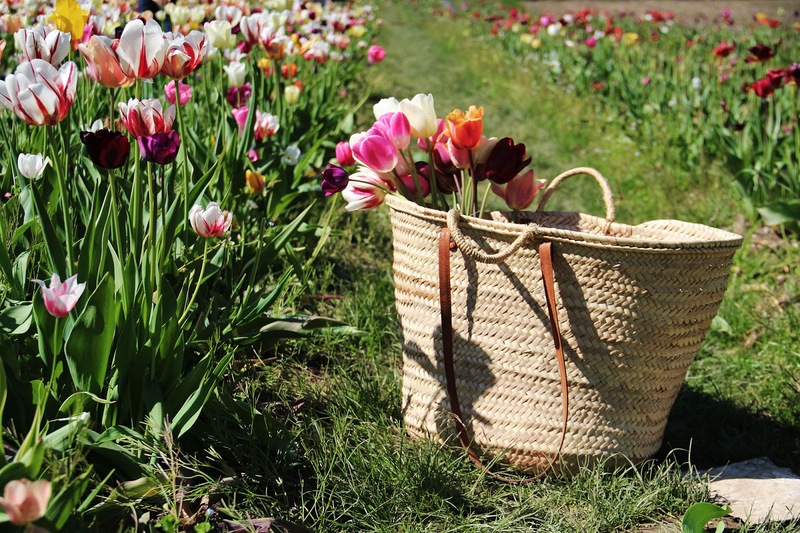 actually, i must give credits to my love, he was the first to spot this nearby flower field and brought home white tulips a while ago. 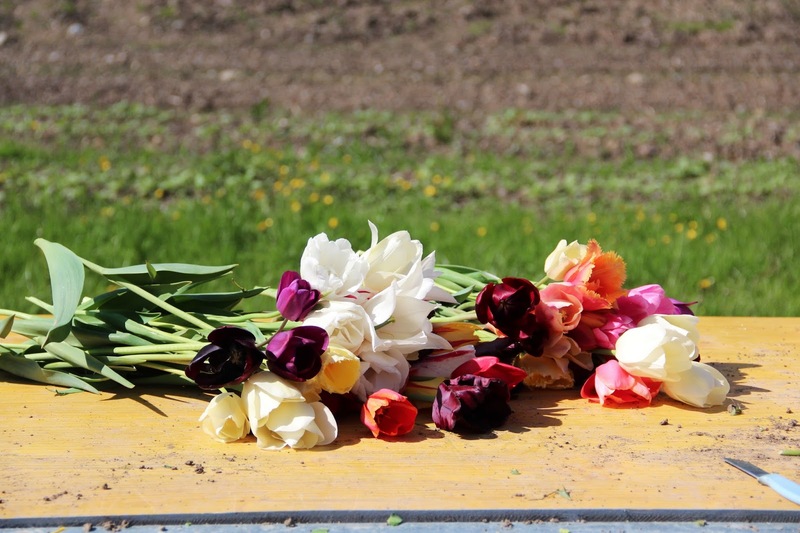 so it was scorching hot out when i set out to make the biggest tulip arrangement ever for my mom. alas, my plan to wear my beloved hunter boots for the event wasn’t the cleverest. my feet were blown up to immense proportions, so much so, that i feared i had to cut my way out of them afterwards. 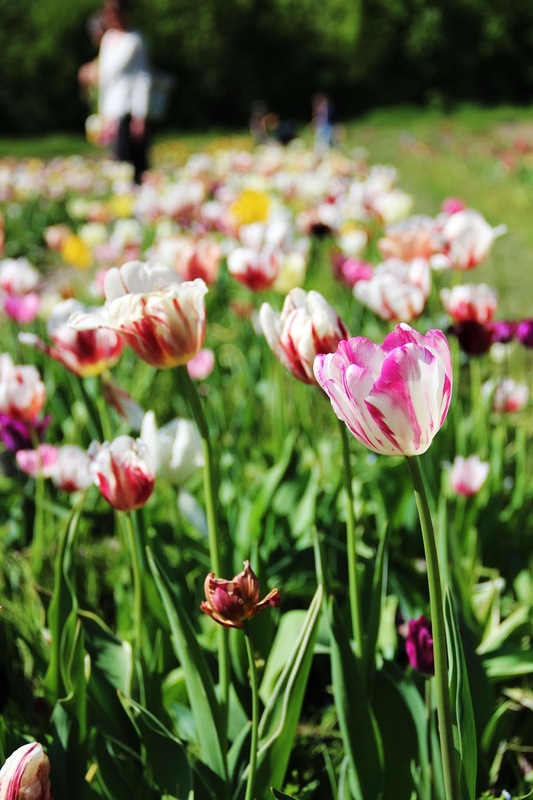 but the result was a ginormous bunch of brightly colored tulips, and everyone was happy. 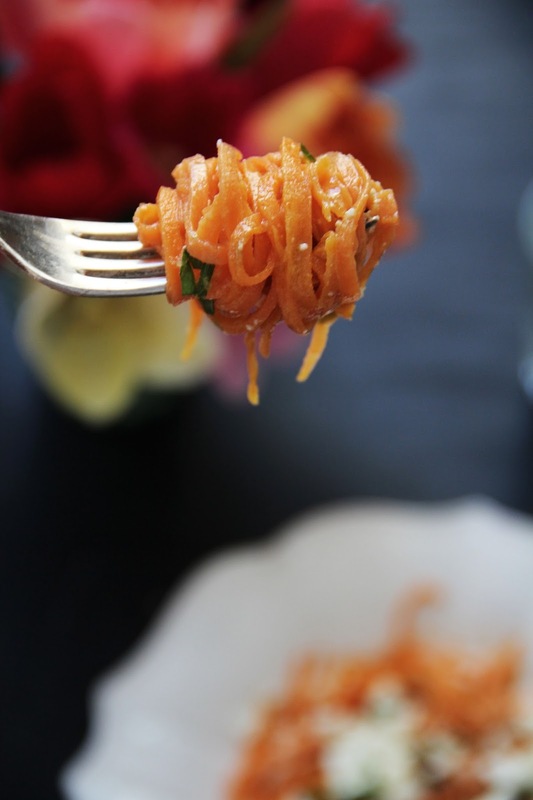 peel the sweet potatoes with a julienne peeler or cut them with a spiralizer, either way, to create noodles. 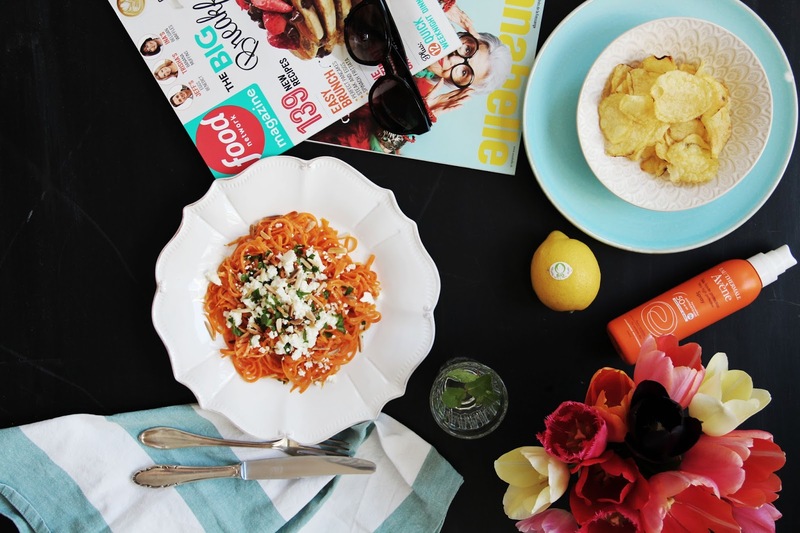 heat the olive oil in a frying pan, then sweat the noodles briefly (for about 3 minutes). you can add some water to the noodles, to prevent them from turning brown and/or sticking to the pan. you just want them blanched a little, not fully cooked or fried, with a nice bite to them, still. season with salt and pepper. 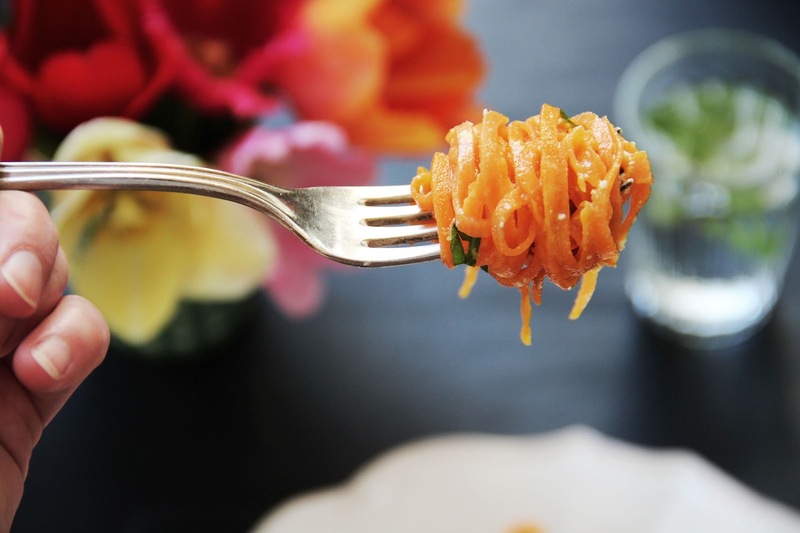 whisk together a dressing with the warm water, lemon juice and zest and harissa. season with salt as well. toast the pine nuts in a dry pan briefly, turning them golden. 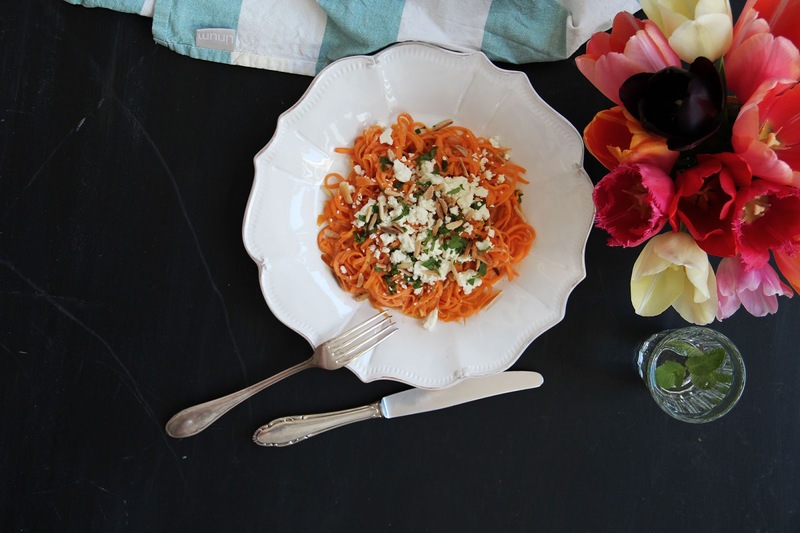 finely chop the parsley and crumble the feta cheese. 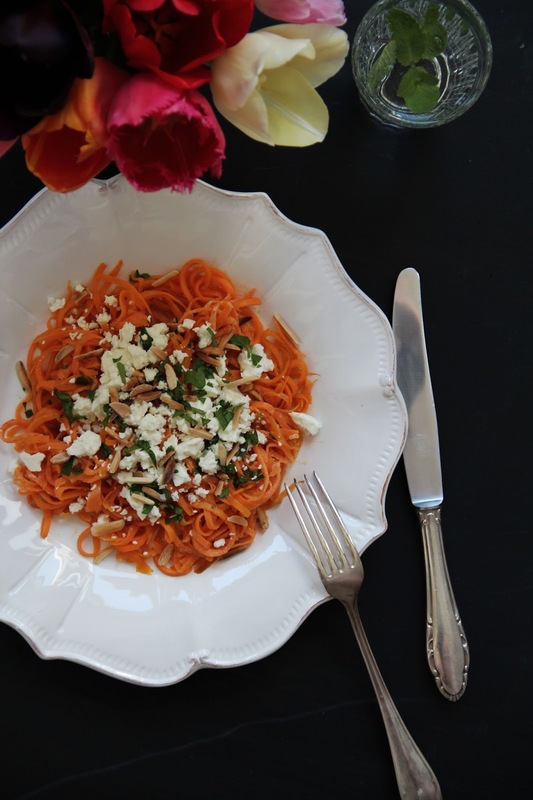 arrange the still warm noodles on plates and dress with tahini sauce, garnish with feta, parsley and pine nuts.